Official: Manchester United superstar signs new deal!! After changing the outlook on the pitch, Manchester United are turning their attention to sorting out player’s contracts. Manchester United have announced today that Anthony Martial has extended its stay at Old Trafford. Martial has signed a new contract, which will keep him at the club until June 2024, with the option to extend for a further year. The new deal will see the France international earn £250,000 a week according to Sky Sports News. Martial said he was delighted to renew his contract and was overwhelmed by the support of the United faithful. “I am loving my time at this club. From the day I joined I have been made to feel part of the United family,” Martial revealed. 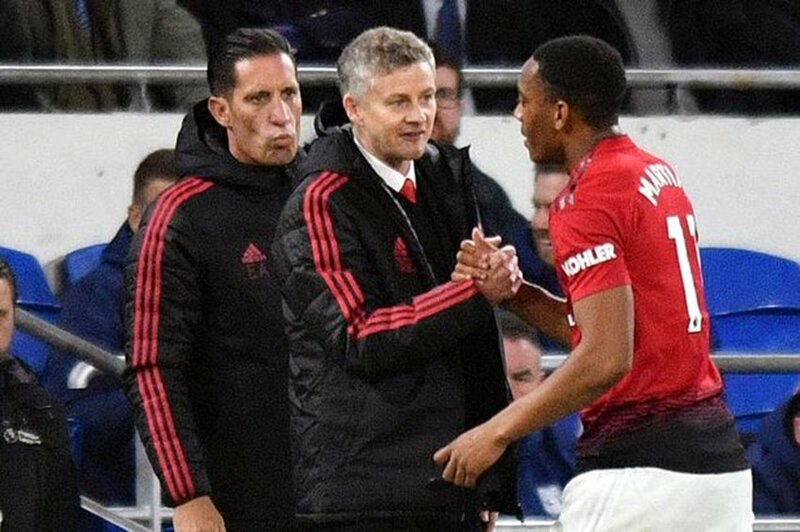 Solskjaer has hailed Martial’s talent and predicts a great future at the club.“Anthony is one of those naturally gifted players that any coach would love to work with,” he said. ​Martial came in for some heavy criticism from former manager Jose Mourinho. He was rumoured to leave the club last summer after being fined for his extended absence from a training camp. However, he responded on the pitch scoring 10 goals in 25 appearances in all competitions. If he fulfils his potential, he is sure to become a superstar and even the best player, if things go his way. Rest assured, United fans will be ectic that Martial will stay a Red Devil for the forcseeable future.